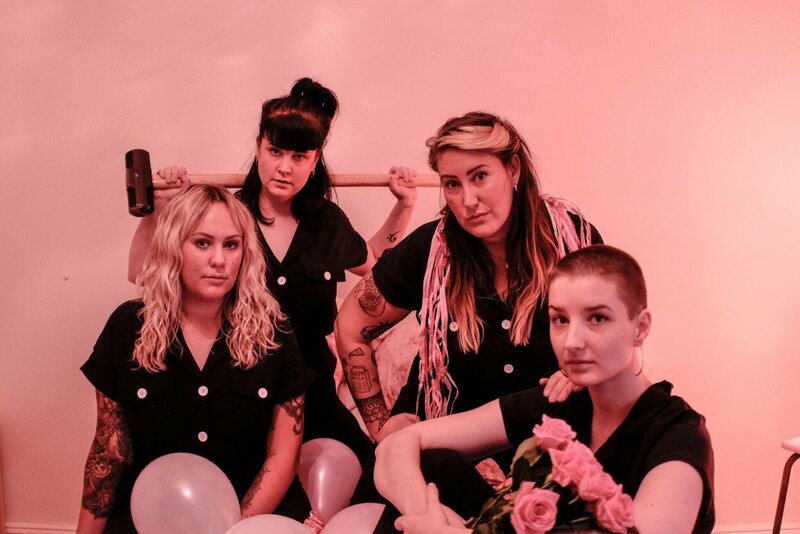 Four years after A​.​T​.​T​.​A​.​C​.​K, Swedish Malmo-based punk band (Anna Palmer, Katja Nielsen, Matilda Årestad, Totta Edlund) Arre! Arre! announced the release of a new album. Tell Me All About Them is out on March 15th via PNKSLM. They shared the first excerpt titled “Anthem“. Listen below.